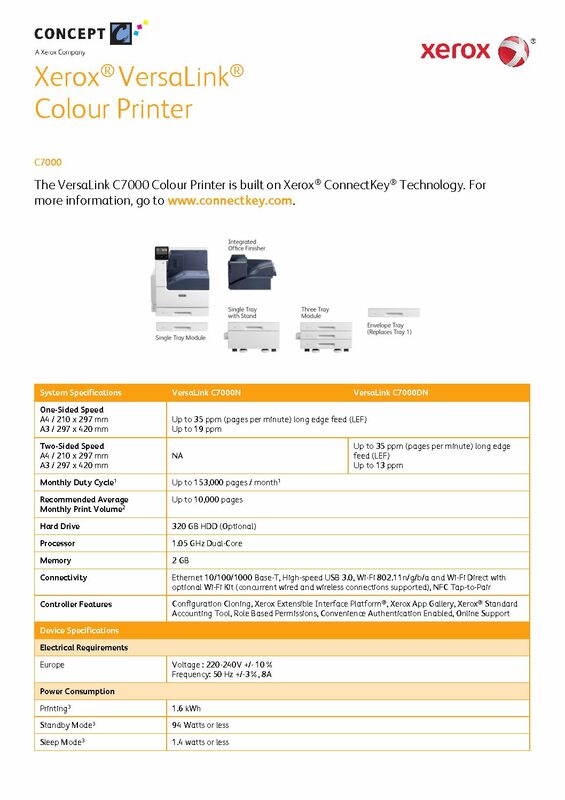 When you need your work to stand out from the rest, count on the VersaLink C7000 Colour Printer – featuring Xerox ConnectKey Technology. Ready for the way you want to work, the C7000 is mobile-ready, app-enabled and ready to customise. Meet your challenges head on with the VersaLink C7000 – your modern workplace assistant.